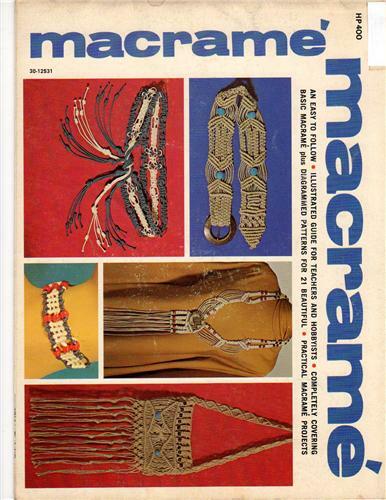 Macrame Illustrated Guide craft booklet. Easy to Follow. Illustrated Guide for Teachers and Hobbyists. Basic Macrame. Diagrammed patterns for 12 projects. This booklet appears in like-new to very good used condition. Center page loose from staples. Sticker on cover.